Identity. 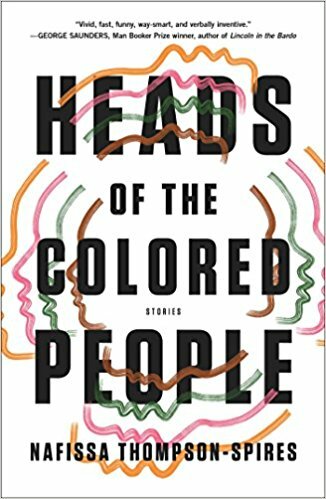 A collection of short stories by Nafissa Thompson-Spires is titled, Heads of the Colored People. The stories are dark, funny, poignant and finely written. Thompson-Spires explores identity and vulnerability with great skill. She deals with the challenge of social media and violence and just what it means to be a person of color living in the United States today. There’s a blend of head and heart in each of these stories, and Thompson-Spires has insight into deep wisdom and a range of strong emotions. I enjoyed each story in this finely written collection. Rating: Four-star (I like it) Click here to purchase Heads of the Colored People from amazon.com.